Every Business Has A Story…What’s Yours? At Buzz Creators, we believe that every business has its own unique and special story. Our goal is to help you tell yours. We provide strategic public relations, marketing, and brand building support to companies of all shapes and sizes throughout Westchester County, Fairfield County, the metro NY area and beyond. Understanding that there is no one size-fits-all marketing or communications strategy, we pride ourselves on creating and implementing personalized programs for each of our clients that directly support their specific business goals. In the end, it’s all about creating buzz and excitement for your business and its products and services. Drawing from our knowledge of years of experience in the corporate world and on the sidelines as journalists, Buzz Creators builds engaging and creative PR and marketing programs that help company’s exceed their goals. Not only has Buzz Creators itself won awards, but more importantly, the firm has helped secure countless awards for our clients over the years. Barnes & Noble worked with Buzz Creators on the launch of a new concept store in the area and Christina and team delivered strong results from their media and community outreach. From strategic planning, to event support, to writing materials and pitching media, the Buzz Creators team brought expertise in every area of PR and Communications. Buzz Creator’s knowledge of the greater Westchester area is unmatched and they delivered strong media placements that helped drive customers to our new store. The Buzz Creators team continues to impress me with their quality of work, insightful recommendations and superior client-service. They have been managing our local media relations and the development of Heineken USA’s Executive Speaker Bureau program, in addition to creating some of our employee newsletters. Without a doubt, I’d recommend Buzz Creators to anyone looking for strategic communications and marketing support. Buzz Creators has been an instrumental part of our 50th Anniversary branding campaign. Whether they are developing a comprehensive strategic communications plan or engaging in the tactical day-to-day implementation of our social media posts, the team at Buzz have a broad base of knowledge and always bring their very best. If you’re looking for a communications partner to help put your business or nonprofit on the map, then Buzz is your choice. We engaged the services of Buzz Creators back in April. After our first meeting, they were off and running and were able to develop an impressive media and PR package for us. The results have been tremendous thus far and we look forward to continued success. Their response time is excellent and they work very closely with our team in getting things done. I have no hesitation in recommending Christina and the Buzz Creators team to anyone. When we hired Buzz Creators more than a year ago, we needed to raise our visibility in the community. Christina Rae and her team have been extremely effective in helping us develop a strategic public relations campaign that is impactful, getting us in front of multiple audiences in many communities. The Buzz team is creative, responsive, and fun to work with. 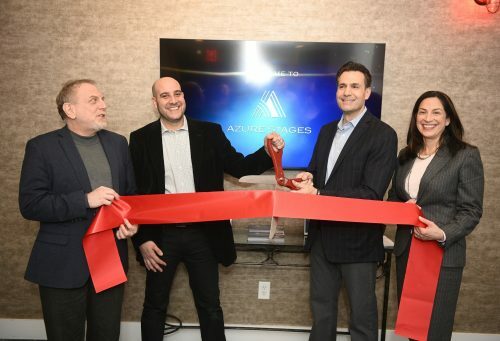 We recently expanded our salon and spa in Stamford, Connecticut, and decided to work with Buzz Creators for a six-month project. They helped us create a grand re-opening celebration that was stellar! They gave us many great ideas that made the event fun and enjoyable for our guests and our staff. In addition, they created attractive social media posts that kept our clients engaged. They improved our marketing materials, revamped our logo, and gave us numerous ideas for fun events to hold in the salon and educated us on how to increase PR while holding these events. They worked hard to get us showcased in local and national media outlets as well. We really enjoyed working with Christina and the entire Buzz Creators staff and look forward to working with them again. They are worth their weight in gold! La Jolie Salon, Color Bar, Spa -- Stamford, CT.
We recently celebrated the Grand Opening of our business, 914 Krav Maga. We called on Buzz Creators who leveraged its strong media relationships and overall expertise in public relations to help raise our visibility throughout the Scarsdale and Westchester County community. We are really impressed with Christina and her team’s understanding that there is no one size-fits-all marketing or communications strategy. Their support and guidance have been a wonderful asset to us and we were able to secure great media and press coverage within two weeks after the opening. Christina and her team has demonstrated the capacity to build and execute communications programs that support a company’s business growth. I look forward to continuing our working relationship in the future and I would strongly recommend Buzz Creators to help any business get noticed in their community and throughout their industry. I have worked with Buzz Creators in the past. They are incredible. I truly enjoyed working with the Buzz Creators team and can't wait to work with them again. Not only are they the best PR Consultants in Westchester County, they are a resource for everything! Thank you again for your advice, we truly appreciate it. Christina Rae and the Buzz Creators team are fantastic! Even though we have been in business for more than 40 years, this is our first time working with a PR company. Buzz Creators has been an invaluable asset for us. They are creative, diligent, organized, professional and a pleasure to work with. 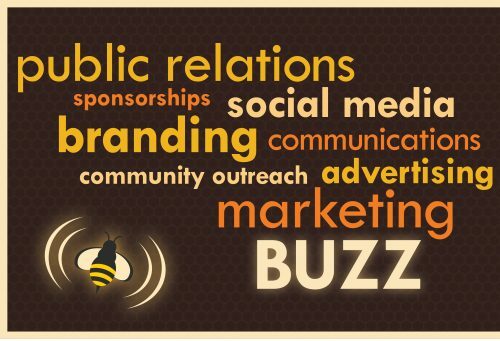 They have helped us create lots of “BUZZ” (with quantifiable results) with our social media and PR outreach. Don’t delay, call Buzz today! Buzz Creators has been an amazing media partner for The Leukemia & Lymphoma Society (LLS) and our Light The Night program. They have secured high-impact media placements for us thanks to their strong relationships with local journalists, who are not only responsive to them, but often reach out to them for story help! When our Light The Night event had to be rescheduled due to Hurricane Sandy, they were instrumental in getting great press coverage and key local politicians to attend. We are grateful for their support! Christina and her team at Buzz Creators have produced a marketplace awareness that helped us successfully build our brand! From social media plans and other media opportunities to helping us win awards, Buzz has been working hard behind the scenes the whole way to our benefit. We never would have achieved the same level of recognition, made new acquaintances and been involved in valuable networking opportunities, without their guidance and timeliness. We look forward to growing with Buzz Creators. We recently started working with Buzz Creators and all I can say is that they are wonderful. They are quick to respond to an email or phone call, are extremely professional and organized! They have given us important contacts within the media and have helped us get our name out into the public. We love having them as an extension of our team! Buzz Creators has been providing PR support to the Alliance for Safe Kids (ASK) for more than a year now. 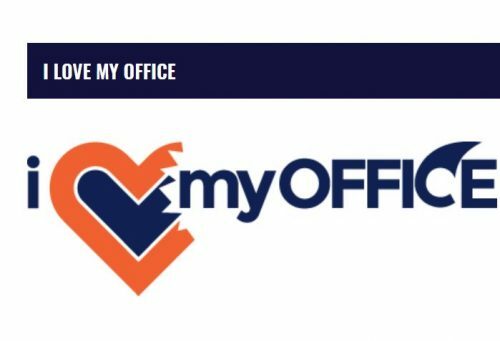 Their insight has helped to greatly increase our visibility and expand our reach within the community, which is key to a non-profit organization such as ours. They are extremely creative, responsive and meticulous in covering all the bases. We would give Buzz Creators our highest recommendation to anyone seeking PR and marketing services. 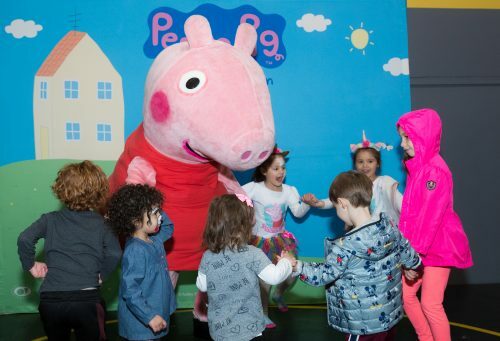 We recently celebrated the 30 year anniversary of our business, Pied Piper Pre-School. Buzz Creators leveraged its strong media relationships and overall expertise in PR to help raise our visibility throughout the Yorktown community. We were absolutely thrilled with the major coverage that we received in our local newspapers thanks to Buzz Creators! Most importantly, many people in town have seen the articles and congratulated us. Buzz Creators has been helping Furnari Scher with media relations. They do an amazing job at packaging news in a simple way that piques the interest of journalists. In the brief time we’ve been working together, Christina has already managed to get my firm several media interviews and coverage in Crain's New York Magazine. I am very impressed with her skills and professionalism. Buzz Creators would be a terrific asset to any business requiring marketing or communication services. Fast, efficient, and on the ball would be the words that come to mind when describing Buzz Creators and their abilities as PR experts. Even though we are a small boutique firm, they gave us attention, tireless effort, and works with us as a key partner in our business. Plus, they are friendly, outgoing, and someone you would want as a face to your business. Last, and most important, they care -- and that's what matters most! Deciding to work with Buzz Creators was one of the best business decisions I made. Christina and her team created a focused media plan for my company that truly delivered results. It wasn't just talk, but real action. They worked hard to create a noticeable (and significant) improvement in the amount of media coverage we received and we couldn't be more pleased. I'd absolutely recommend Buzz Creators to any company looking to improve their media and marketing plans. I’m so glad we met Christina Rae. Over the last several months, Christina has helped The Mansion at Colonial Terrace reinvent itself. She is a great person to work with! To anyone looking for a GREAT PR professional, look no further than Buzz Creators! Christina and the Buzz Creators team were instrumental in launching a strategic public relations program for our renowned Ashikari Breast Center. Their support and guidance have been a wonderful asset to us and we were able to secure good press almost immediately. I would recommend Buzz Creators without hesitation. I am thrilled to be working with Buzz Creators, Inc. They have been consistently finding me new opportunities to increase my visibility online and in my community. Their PR team has really educated me in social media and new networking strategies and has really helped me simplify to run my small business more effectively. Most importantly, Christina and her team have been huge cheerleaders providing enthusiastic support for me professionally and personally. If you want a boost in your business, go with the best - Buzz Creators, Inc.
Christina and her team have provided exceptional attention, follow-up, and results since we started working with Buzz Creators last year. They've helped us focus our message so that our offerings are more clear, and in just a short time they've helped us get print and radio coverage. Christina's corporate PR experience also gives us confidence in her ability to continue to support us as our company grows. To top it off, she has a fun, energetic personality and is fun to work with. I highly recommend Christina and the Buzz Creators team! The Buzz Creators team provided invaluable insight and service to the YWCA - from Christina lending her time and expertise to coach “newbies” on social media, to leading a critical PR initiative for the organization’s annual gala fundraising event two years in a row. We were thrilled to work with them. Buzz Creators rocks! Working with Christina and her team has been fantastic. 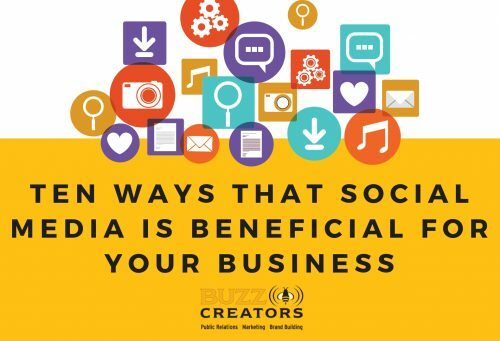 Not only because of their amazing creativity, incredible attention to details or their eye for uncovering opportunities; it’s because unlike many other PR and marketing firms who just over promise things, Buzz Creators actually delivers impactful results! Buzz Creators lived up to their name when we opened our brick and mortar store in Greenwich. Although our business has been established for years in the wholesale market, we did not have a retail presence until the Buzz Creators team did their magic to announce and promote the opening to the public. 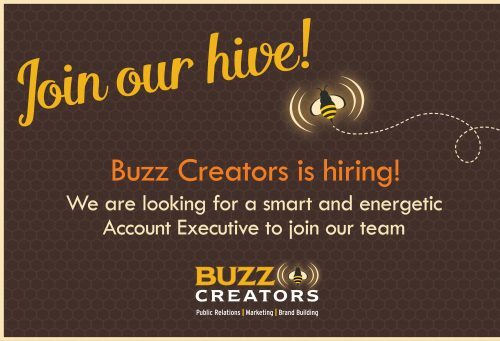 Buzz Creators, Inc., a Westchester, NY-based boutique public relations and marketing firm servicing the metro NY area and beyond, is currently hiring and looking for a great Account Executive.